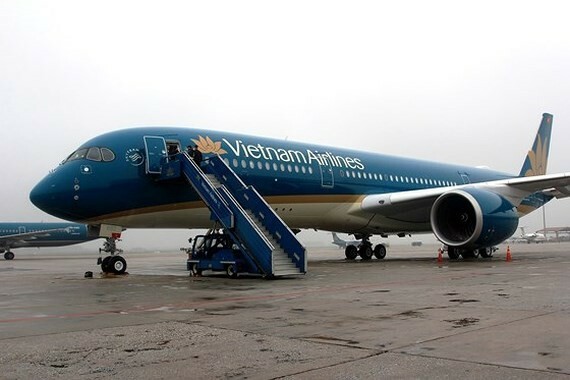 National Carrier Vietnam Airlines (VNA) and Vietnam Air Services Company (VASCO) have planned to cancel flights to and from Hai Phong Province & Dien Bien Province on September 16 and 17 due to the 6th typhoon named Mangkhut. As plan, four flights to/from Danang/HCMC and Hai Phong Province on September 17 will be changed the departure time including VN1672, VN1673, VN1180 while two flights to/from HCMC and Hai Phong province namely VN1192, VN1193 on September 16 were delayed. VASCO announced four flights OV820, OV8203, OV8204, OV8205 on September 17 will be canceled. Earlier, VNA canceled 10 flights from Hanoi/HCMC to/from Hong Kong (China) and HCMC –Guangzhou (China) on September 16 & 17. Low-cost carrier VietjetAir just announced that in order to ensure safety for passengers it will cancel flights VJ876/877 to/from HCMC-Hong Kong (China) –HCMC on September 17. The effected –passengers will be supported to change to other flights on the next day free of charge.